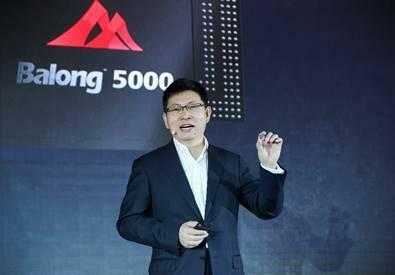 "The Balong 5000 will open up a whole new world to consumers," said Richard Yu, the CEO of Huawei’s Consumer Business Group. "Huawei has an integrated set of capabilities across chips, devices, cloud services, and networks. Building on these strengths, as the leader of the 5G era, we will bring an inspired, intelligent experience to global consumers in every aspect of their lives." As originally reported by Android Police, Yu teased attendees at the conclusion of the event by telling them that "we look forward to seeing you in Barcelona in February, where we will launch the world's first 5G smartphones with foldable screen." While rivals like Samsung and Xiaomi have been more forthcoming in their ambitions to colonize the foldable smartphone space, Huawei have been rumored to be working on a foldable since last year. Back in October 2018, Huawei CEO Richard Yu told Digital Trends that the company “are working on foldable phones.” Following this, the mysterious device - rumored to be branded as the Mate X - has been the subject of several leaks. With any luck, we'll soon find out how accurate those leaks are. Mobile World Congress 2019 is due to take place on the 25th of February in Barcelona. Stay tuned.